Nrama: So is Anti-Venom pretty much around for just issue #7? Or is he going to stick around for a while? Remender: Without giving too much away, I will say that Eddie Brock is going to be a regular cast member, and I will leave it at that. I just got back from the Spider-Retreat last week in New York, and Zeb Wells and I locked down our plans for the symbiotes, making sure that there's lots of nice connective tissue between Carnage and Venom and Spider-Man coming up. Nrama: So beyond "Spider-Island," is there anything else you can tease at this point about what's on the horizon for Flash? Remender: There are two major storylines coming up, one of them is going to be a big crossover thing that Flash and Venom play a giant role in. 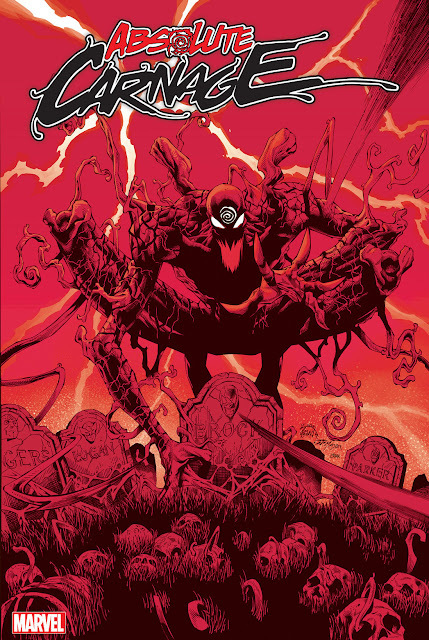 Beyond that, without giving away too much, we've got something coming up with the other symbiotes — Carnage, as I said. We see the return of his archnemesis Jack O'Lantern, and put those two in a pretty precarious and interesting situation, so fans of the first story will see the return of Jack O'Lantern and Crimemaster, that thread picks back up here in a couple of issues. ... — if you enjoy seeing these characters pop up elsewhere, and interact with the Marvel Universe, you can look forward to that with Venom. He also goes into a little bit about his thoughts on Eddie and how his character has evolved over the years. What else can I say...it's a good time to be a Venom fan!